Each child is born with his or her own personality, talents, likes and dislikes. How can parents create and maintain family flow and unity while respecting and caring for children who sometimes have wildly different needs? A new book, Dharma Parenting, by Dr. Robert Keith Wallace and Dr. Fred Travis, gives a unique perspective on raising kids, along with simple practical tips on how to nurture each unique family member. The wisdom in this book draws from the ancient knowledge of Ayurveda, combined with the most up to date brain science, to help us better understand and relate to our children, our spouse or partner, our friends, co-workers--virtually anyone we meet in daily life. The word Dharma is from Sanskrit and means to uphold or support. Our "dharma" is to discover a path in life that supports our personal growth, happiness, success, and fulfillment. As parents, what we want most is to provide our children with a loving environment that guides and supports them to become happy, balanced, successful people, able to stand on their own feet. The problem is, that what works wonderfully for one child may not work at all for another. Being aware of the simple stages of your child's brain development lets you understand what your child is capable of doing and not doing at each age. For instance, a newborn isn't capable of interacting with the world, even though it is born with one hundred billion neurons, because the necessary neural connections between them have not yet developed. From birth to the age of three, your child experiences enormous brain development, with 24 million connections made every minute. By the time the child is four years old, each brain cell is connected to a thousand others. As this number increases, you can naturally observe your child's hearing, sight, movement, and speech, progress and improve. When the child grows to be of school age, becomes a teenager, and then a young adult, his or her brain goes through further transformations. "Throughout the first twenty-five years of life, your child's brain is a work in progress. With each change in brain structure and function, he begins to see the world more globally, gets better at controlling impulses, begins to see consequences, and grows in understanding abstract ideas." The stages of a child's brain development are well-established, but Western science is only beginning to study individual distinctions and tendencies in an attempt to comprehend the various personalities of children and family dynamics. This information has not yet been integrated into a holistic system of typing that can be used by health professionals, therapists, educators, and parents, to help them deal with differences within a family or among students in school settings. The ancient knowledge of Ayurveda, however, includes a profound understanding of the subtleties of different types. Dharma Parenting combines this valuable knowledge with the latest scientific findings on brain development, creating the term brain/body nature. Ayurveda defines physical, mental, social, and behavioral tendencies in terms of three main natures--Vata, Pitta, and Kapha. The Vata nature is sensitive, always changing, and creative. The Pitta nature is dynamic, strong-willed, and inquisitive. The Kapha nature is calm, steady, and kind. Everyone, including children, possesses some combination of these three natures, with one or two generally predominating. Dharma Parenting offers a free quiz on their website, so you can easily discover your own and your children's brain/body nature. Understanding your child's nature and the stages of his or her brain development--allows you to better understand their needs, and be able to help them to be happy, healthy, and successful. Dharma Parenting gives practical advice and tips to manage your child's individual nature according to Ayurveda, including the most ideal diet, forms of exercise, aroma therapy, routines, etc. The authors advise parents to learn Transcendental Meditation or TM, because it provides the deep rest and energy, creativity, and calmness, which are so valuable and so necessary to be a good parent. TM also allows the brain to function more coherently, which results in clearer and more creative thinking. Besides being experts on the development of consciousness and the effects of meditation on the brain, Dr. Wallace and Dr. Travis are both parents, who tell us that the ultimate gift we can give our children is the self-knowledge and self-awareness which allows them to build their own success and happiness. Having your children learn to meditate, gives them an effective, scientifically proven technique to combat stress, decrease anxiety, improve their ability to study, increase the coherence in their brain functioning, and most importantly, help them gain a state of inner happiness that is independent of the world around them. 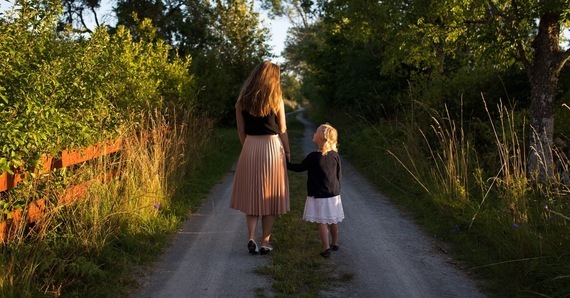 During these turbulent times, Dharma Parenting offers parents the wisdom and tools to guide children to become wise, loving, successful adults who are happy in their lives, and at the same time, contribute to the well-being of society.